Since 1919, Kettmeir has been at the heart of winemaking in Alto Adige, the lush Alpine region we call home. Drawing on generations of careful craftsmanship and passion for flavor, we produce Alto Adige’s most precious, hidden treasures: exceptional wines that pair perfectly with the foods and friends that fill life with flavor. Kettmeir is located in the hills of Alto Adige, a unique and beautiful region in the Alpine north of Italy. In this superb territory are ideal conditions for grape cultivation: a range of soil types, altitudes, and temperatures. Our beautiful home imparts our wines with their outstanding freshness and extraordinary aromatics. Founded in 1919 by Giuseppe Kettmeir, the winery has remained true to ancient local traditions while adapting to the needs of the modern age. 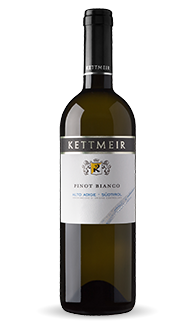 Making elegant varietal wines with a strong sense of place and respect for the environment is a philosophy reflected in every bottle of the wines of the Kettmeir portfolio. As a fine companion for dinner or a lively addition to your afternoon, discover the delightful taste of this fruity, dry, delicate wine.